We develop a simple model of computation under which to study the meaning of cryptographic protocol and security. We define a protocol as a mathematical object and security as a possible property of this object. Having formalized the concept of a secure protocol we study its general properties. 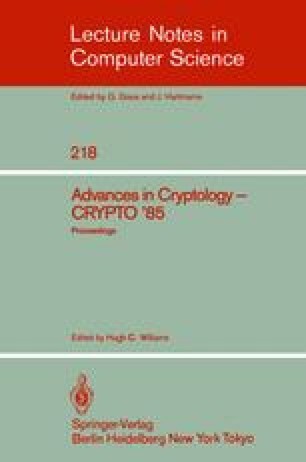 We back up our contention that the model is reasonable by solving some well known cryptography problems within the framework of the model. Research sponsored in part by GTE fellowship. Reaeuch sponsored in part by NSF grant MCS-82-04506 and by Universidad Católica de Chile.